The Texas Hill Country offers some of the best bike rides in the state. 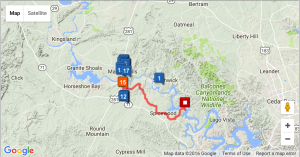 Follow this link to map out great bike rides in the Marble Falls area. For more information on hiking trails in the Texas Hill Country follow this link.